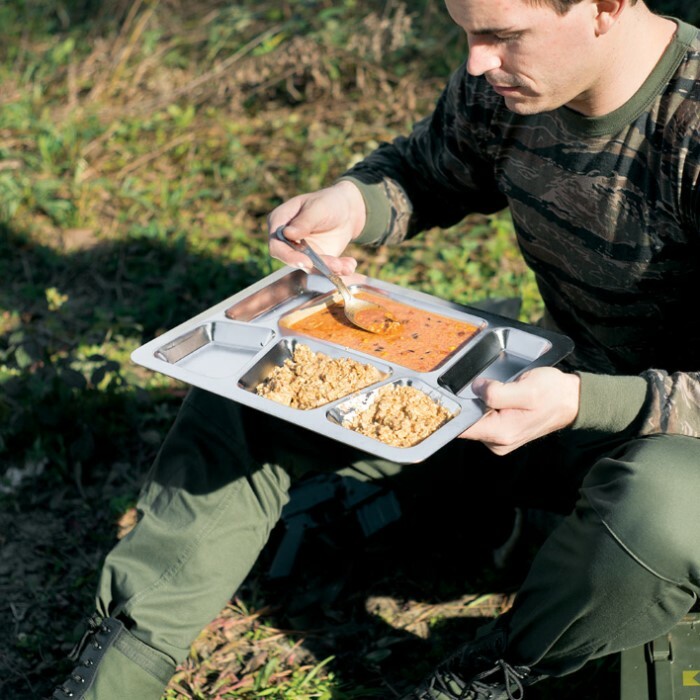 Military Surplus Stainless Steel Dining Tray | BUDK.com - Knives & Swords At The Lowest Prices! Roughing it in the wilderness doesn't mean you have to eat your food off the ground like an animal. 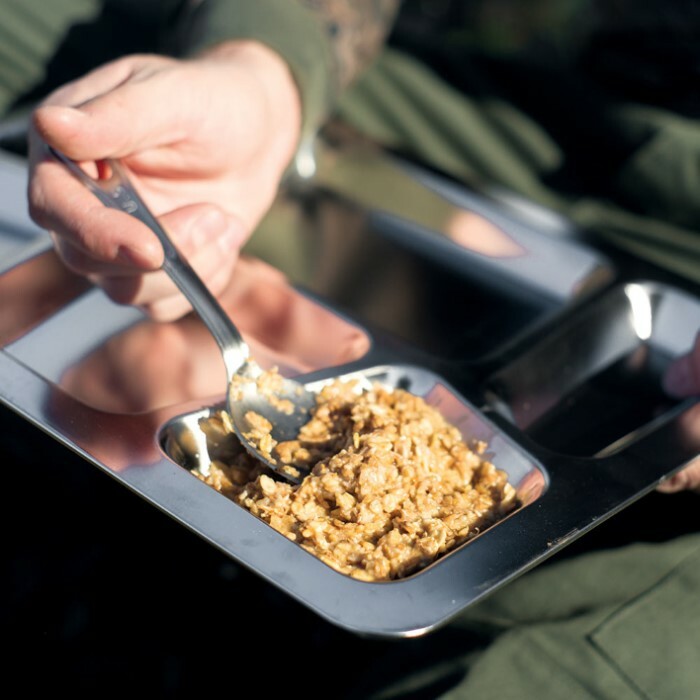 Dine like a GI the next time you're enjoying the great outdoors with this tough Military Surplus Stainless Steel Tray. Forged with durable, corrosion resistant stainless steel, it's perfect for hiking, camping, fishing or any outdoor excursion. 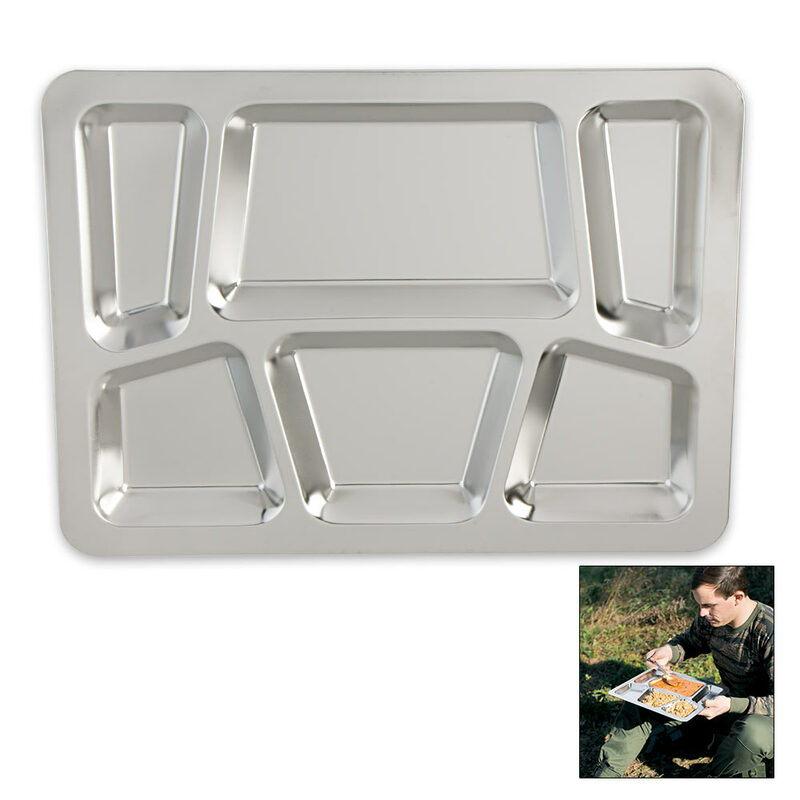 It features six sections, and at 15 1/2" x 11 1/2", it's amply sized for even the hungriest outdoorsman, without taking up too much precious, limited space. The natural stainless steel is nontoxic and cleans up easily after meals.